HERE’S A NICE note to wrap up the day on. Redditor ThatGuyBeezy returned to his car after work to find a note and kind gesture from a complete stranger. 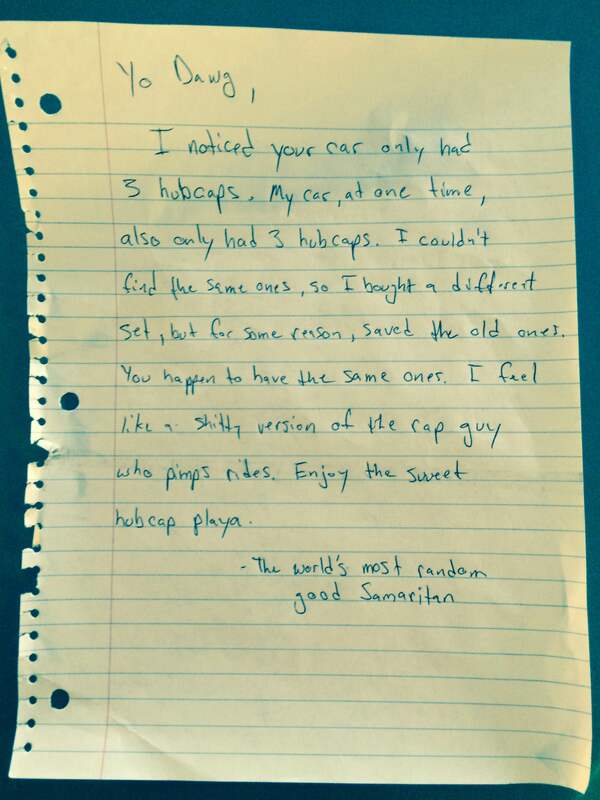 The note explains that the good Samaritan noticed the car only had three hubcaps. 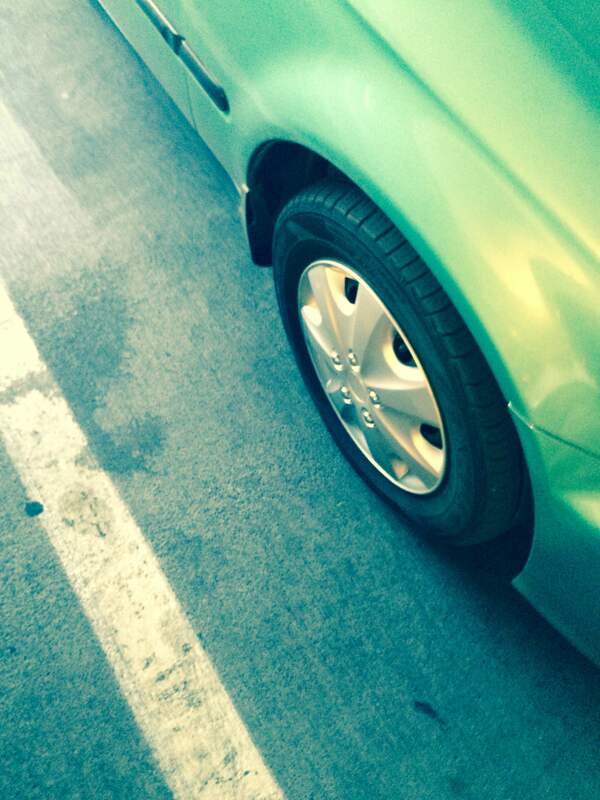 As someone who once had three hubcaps, they bought a new set because they couldn’t find ones that matched. As a result, he had the old ones that matched this guy’s car–and put one on. Still following? What a guy. What a random feat of coincidence. Email “This random act of kindness is every car-owner's dream”. Feedback on “This random act of kindness is every car-owner's dream”.